Last major update issued on December 9, 2006 at 06:10 UTC. The geomagnetic field was unsettled to minor storm on December 8. Solar wind speed ranged between 488 and 734 km/s (all day average 576 km/s - decreasing 71 km/s from the previous day). Wind speed decreased slowly and gradually during the latter half of the day. A solar wind shock was observed at SOHO at 04:12 UTC when the CME associated with the X6.5 flare on December 6 arrived. 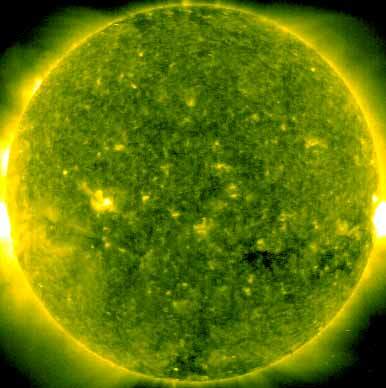 No further CMEs are expected at this time. Solar flux measured at 20h UTC on 2.8 GHz was 96.0. The planetary A index was 25 (STAR Ap - based on the mean of three hour interval ap indices: 24.6). Three hour interval K indices: 35353333 (planetary), 45453233 (Boulder). 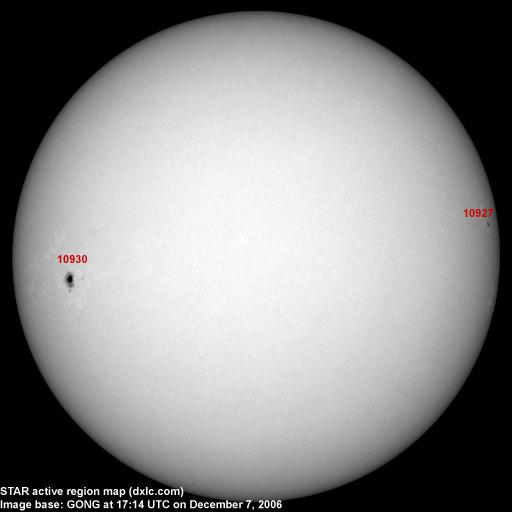 Region 10930 has a weak magnetic delta structure in the southern part of the single penumbra. There is still a chance of an M class flare. December 7-8: No obvious partly or fully Earth directed CMEs were detected in LASCO imagery. 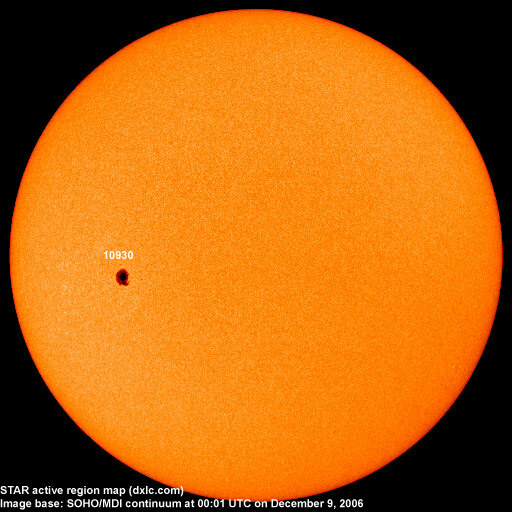 The geomagnetic field is expected to be mostly quiet on December 9-12. Monitoring remarks from a location near N58E06: 1290 Radio Puerto Cabello (Venezuela) was noted with a fair to good signal. No other trans Atlantic stations reached more than a very poor signal level.